* Check out this 2019 Mitsubishi Eclipse Cross ES * * 2019 ** Mitsubishi * * Eclipse Cross * This Red Diamond 2019 Mitsubishi Eclipse Cross ES might be just the crossover awd for you. Rocking a charming red exterior and a black interior, this car is a sight to see from the inside out. Call today to test it out! * Check out this 2019 Mitsubishi Eclipse Cross ES * * 2019 ** Mitsubishi * * Eclipse Cross * This Pearl White 2019 Mitsubishi Eclipse Cross ES might be just the crossover awd for you. Flaunting a sleek white exterior and a black interior, this car is a sight to see from the inside out. Don't wait on this one. Schedule a test drive today! * Check out this 2018 Mitsubishi Outlander * * 2018 ** Mitsubishi * * Outlander * This 2018 Outlander might be the one for you! Make your move before it's too late schedule a test drive today! 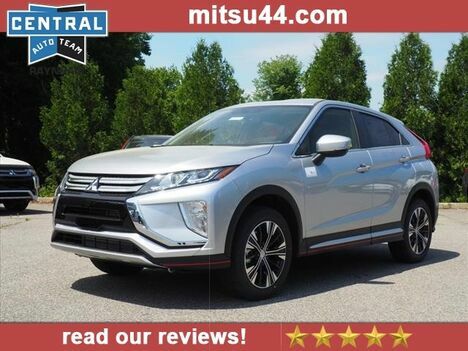 * Check out this 2019 Mitsubishi Eclipse Cross ES * * 2019 ** Mitsubishi * * Eclipse Cross * This 2019 Mitsubishi Eclipse Cross ES might just be the crossover awd you've been looking for. Don't wait until it is too late! Call today to schedule an appointment. 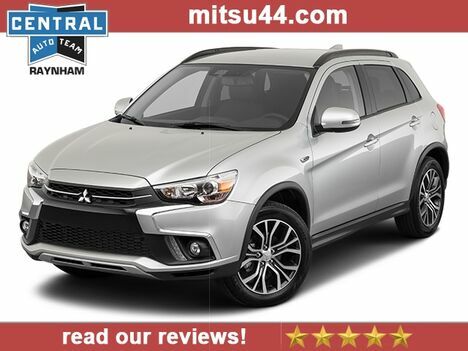 * 2019 ** Mitsubishi * * Outlander Sport * For a comfortable and reliable ride, look no further than the 2019 Mitsubishi Outlander Sport, which is styled with features like push button start, backup camera, blind spot sensors, Bluetooth, braking assist, a power outlet, hill start assist, stability control, traction control, and premium sound system. Complete with a stunning red exterior and a black interior, this vehicle is in high demand. Stay safe with this crossover awd's 4 out of 5 star crash test rating. Good cars sell fast! Give us a call and schedule an appointment today! * Check out this 2018 Mitsubishi Outlander * * 2018 ** Mitsubishi * * Outlander * This 2018 Outlander might be the one for you! Interested? Call today and take it for a spin! * Check out this 2019 Mitsubishi Eclipse Cross LE S-Awc * * 2019 ** Mitsubishi * * Eclipse Cross * This Red Diamond 2019 Mitsubishi Eclipse Cross LE S-Awc might be just the crossover awd for you. Rocking a sleek red exterior and a black interior, this car is a sight to see from the inside out. Don't wait on this one. Schedule a test drive today! * Check out this 2018 Mitsubishi Eclipse Cross * * 2018 ** Mitsubishi * * Eclipse Cross * You can't go wrong with this Alloy Silver Metallic 2018 Mitsubishi Eclipse Cross. Exhibiting a dazzling silver exterior and a black interior, this vehicle won't be on the market for long. This is the vehicle for you! Give us a call today and don't let it slip away! * Check out this 2019 Mitsubishi Eclipse Cross LE * * 2019 ** Mitsubishi * * Eclipse Cross * This Pearl White 2019 Mitsubishi Eclipse Cross LE might be just the crossover awd for you. Rocking a gorgeous white exterior and a black interior, this car is a great pick. Don't sit on this decision for long...schedule your test drive today! * Check out this 2019 Mitsubishi Eclipse Cross LE * * 2019 ** Mitsubishi * * Eclipse Cross * This Red Diamond 2019 Mitsubishi Eclipse Cross LE might be just the crossover awd for you. Rocking a ravishing red exterior and a black interior, this car is a great pick. This is the vehicle for you! Give us a call today and don't let it slip away! * 2019 ** Mitsubishi * * Outlander Sport * Buying a car doesn't have to be difficult! Check out this high-quality 2019 Mitsubishi Outlander Sport and its many features including push button start, backup camera, blind spot sensors, Bluetooth, braking assist, a power outlet, hill start assist, stability control, traction control, and premium sound system. Be sure of your safety with a crash test rating of 4 out of 5 stars. Interested? Call today and schedule a test drive! * 2019 ** Mitsubishi * * Outlander Sport * Looking for a ride that can do it all? You're sure to love the 2019 Mitsubishi Outlander Sport, which is designed with high-end features like push button start, backup camera, blind spot sensors, Bluetooth, braking assist, a power outlet, hill start assist, stability control, traction control, and premium sound system. Flaunting a classic white exterior and a black interior. Drive away with an impeccable 4-star crash test rating and prepare yourself for any situation. This is the vehicle you have been waiting for! Call now to schedule a test drive! * Check out this 2019 Mitsubishi Eclipse Cross * * 2019 ** Mitsubishi * * Eclipse Cross * This 2019 Eclipse Cross might be the one for you! Want to learn more? Call today for more information. * 2019 ** Mitsubishi * * Outlander Sport * * 2.4 GT * This reliable 2019 Mitsubishi Outlander Sport 2.4 GT comes with a variety of features, including push button start, backup camera, blind spot sensors, Bluetooth, braking assist, a power outlet, hill start assist, stability control, traction control, and premium sound system. Stay safe with this crossover awd's 4 out of 5 star crash test rating. Interested? Call today and take it for a spin! * Check out this 2019 Mitsubishi Eclipse Cross LE * * 2019 ** Mitsubishi * * Eclipse Cross * This Pearl White 2019 Mitsubishi Eclipse Cross LE might be just the crossover awd for you. Exhibiting a sharp white exterior and a black interior, this vehicle won't be on the market for long. Call today to test it out!